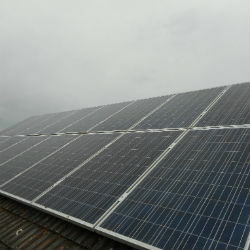 EnergyMyWay provides advice, supply and installation of renewable technologies including Solar PV, Heat Pumps. We also provide home automation systems for new build projects. 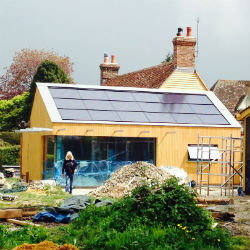 Following the launch of the government’s domestic Renewable Heat Incentive, this Surrey homeowner was interested in an air source heat pump for their heating and hot water. 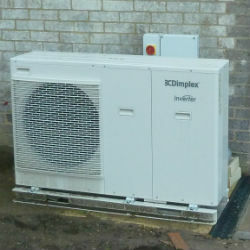 We carried out a thorough survey and recommended a Dimplex LA9MI, a 9kW heat pump suitable for properties of this size. This extension project incorporated a timber-clad extension with a zinc roof. 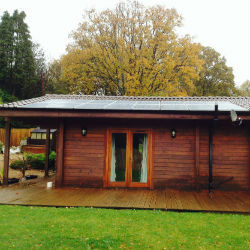 The homeowner approached EnergyMyWay looking for a suitable solar panel array that would integrate with the design of the property as well as Maximising returns from energy bill savings and the Feed-in Tariff. 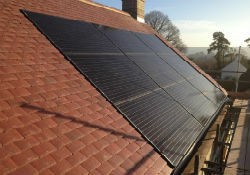 This homeowner approached EnergyMyWay looking to maximise the returns from an investment in Solar PV by generating free electricity and accessing the government Feed-in Tariff. 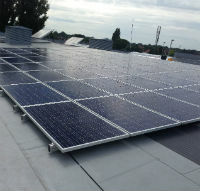 We carried out a thorough survey and identified the best opportunity for solar panels would be on the west facing roof of the main house and the south facing garage roof. This Alms house in Surrey was undergoing a complete modernisation which included an extension. 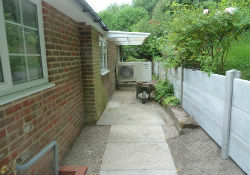 Currently running on electric heating the property was an obvious choice to benefit from an air source heat pump. EnergyMyWay designed a system that will reduce the heating bills, earn an income from the Renewable Heat Incentive and provide 100% of the heating and hot water requirements.